Along with the Lebrons that will see daylight in Black History month Nike will be releasing a Kobe VII , just like last years model these will be limited to select Nike accounts and will probably sell out pretty fast. This first pic isn't the best but will do features a black and grey upper combined with the green and red crossing lines in the mid panel. 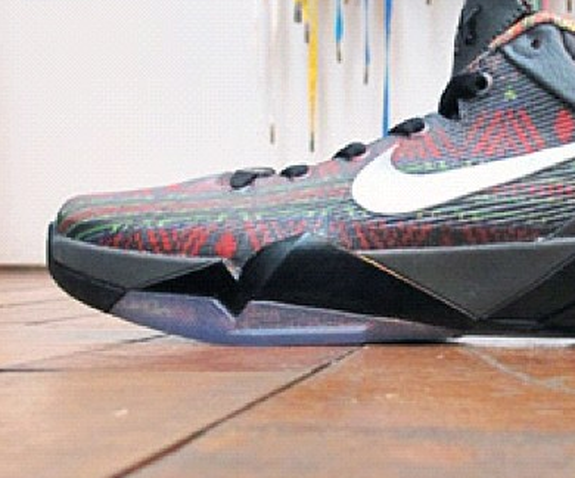 You also see the same African style prints in the inside of the shoe that you will probably see in the other models. Stay tuned more more pics and release info. 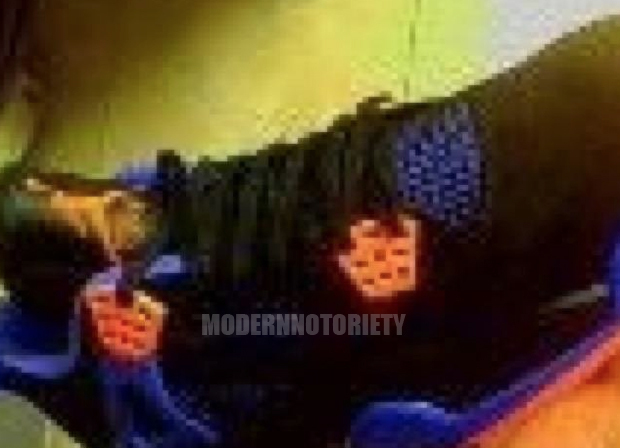 2012 Nike Air Jordan 4 “New York Knicks” Possible Release? 2012 will see many Old and New Jordan 4 Retros popping up but this pictures shows a color usually only seen on the feet of New York Knicks Players or Spike Lee. Here is a sample Jordan 4 Knicks colorway featuring the classic orange and blue theme. Quality of the picture is def not the greatest but its something. Will this release? 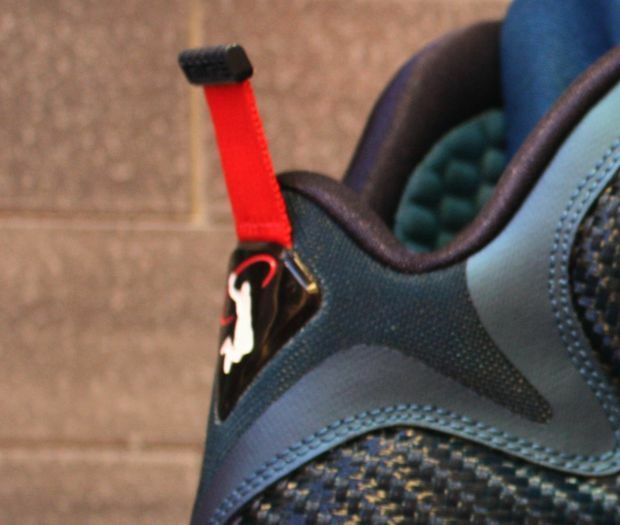 will we see if on Melo's feet? or will it just be what alot of Jordan's are today, Just Samples! VIA Modern-Notoriety. 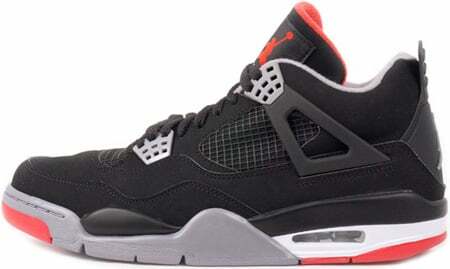 2012 Nike Air Jordan Retro 4 Black Cement “Returning” Black Friday? Rumors have already started to pour that this Black Friday 2012 we will see the Release of another fan favorite the Jordan Retro 4 Black Cement. Last Black Friday we seen the release of Jordan Retro 3 Black Elephant Print, so it seems likely that this release might come true. Will this be a def cop for you? Will wait and see! 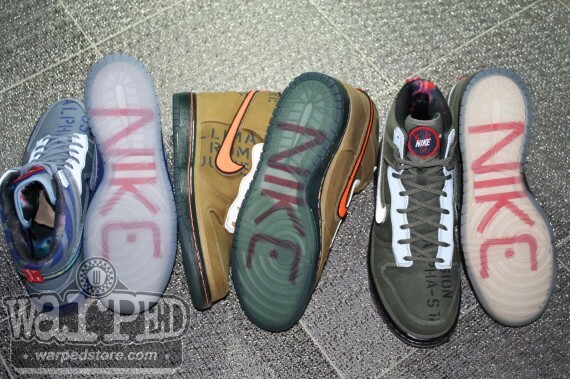 Stay tuned to TCC For more info regarding this release! VIA Modern-Notoriety. Your dads the most recognizable face in sports and with the most popular athletic shoe to ever be made! So why not support the cause. Marcus Jordan was recently spotted wearing the upcoming Jordan IV Cements for 2012 again Palm Beach Athletics. The team pulled off the win and Lil MJ leading the team with 17 points. Was it the shoes? Take a look at more pics after the jump. Mj of course has the sickest sneaker game ever! Being the Man himself gives him control to make any shoes, y color he desires.We see MJ above with a pair of special made golf shoes. We all know golfing is his past time besides the chronic cigar smoke. Isn't our first time seeing Mj with a special made pair of golf shoes and I'm sure wont be our last. But now being a engaged man he better get his golfing in now before the Future misses puts a stop to it! What do you think of the Special golf shoes? More pics after the jump. College and Professional Athletes alike have all been spoiled at some point by a name brand Sneaker Company. And once again another athlete has received a special little treat from the boys at Nike. 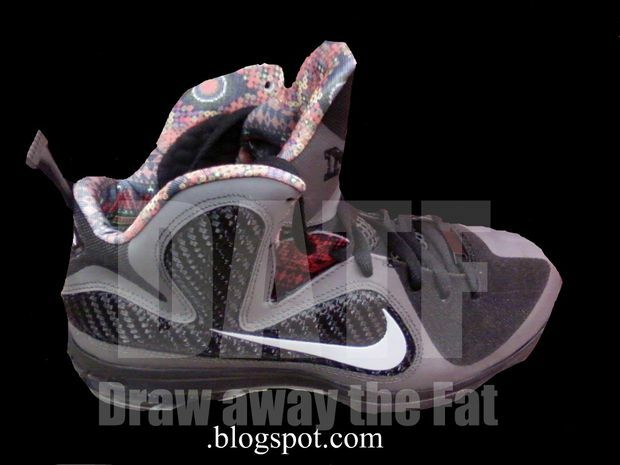 Marcus Gilchrist shows of a thought to be 1 of 1 PE for Penny Himself. The all red Rookie was given the Name Memphis Express. Will more special Colorways pop up? We will just have to wait and see. More pics after the Jump.